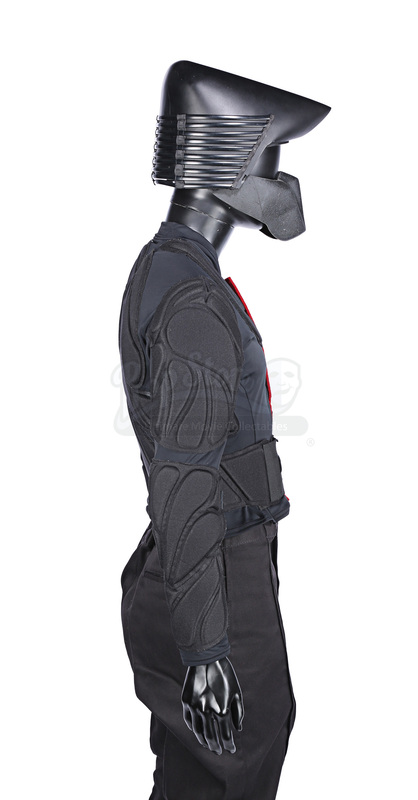 A guard costume worn in Karyn Kusama’s 2005 action movie Aeon Flux. In the 25th century, the Earth's population has dwindled to a surviving five million following a devastating virus that almost resulted in human extinction. Confined to one city-state, a group of rebels, led by Handler (Frances McDormand) seek to destroy the oppressive government. Aeon Flux (Charlize Theron) must integrate herself in a world of deceit and mystery. 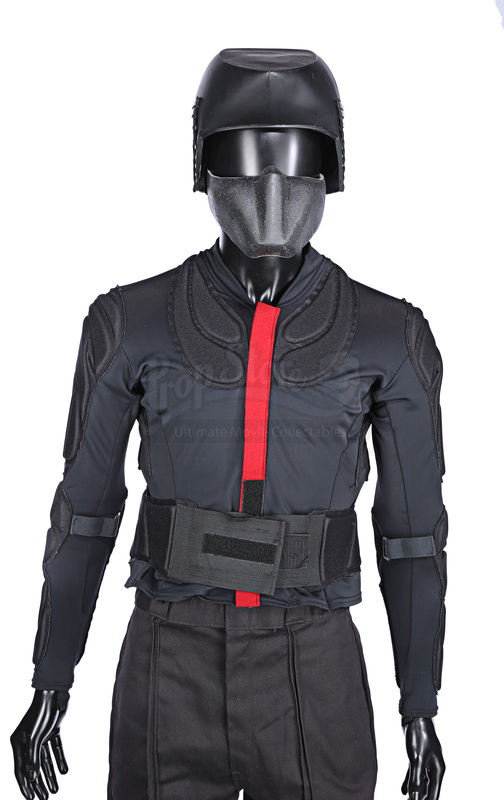 The guards of the totalitarian city of Bregna can be seen wearing these costumes, and ones like them, at various points in the movie and are particularly prominent in a scene at the end of the film. 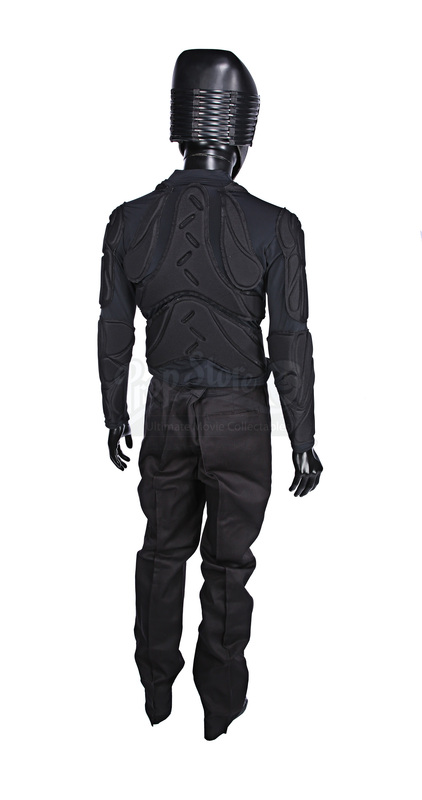 The custom-made costume consists of a pair of black trousers, a black lycra motorcycle style jacket covered in panels of padding, with a red stripe down the front and a Velcro® fixed belt at the front where an additional piece of padding was originally attached. 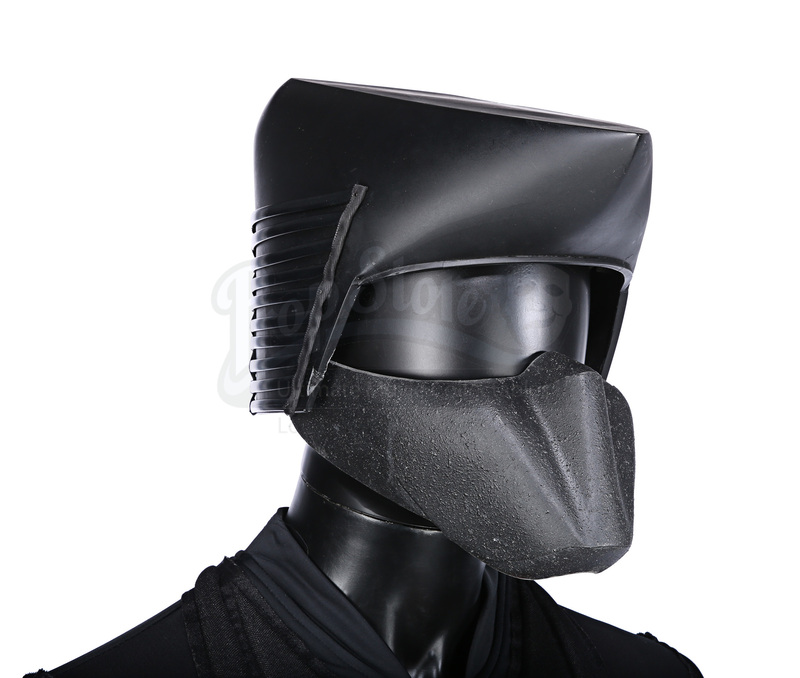 There is also a black pointed fibreglass helmet with a separate black rubber mask. 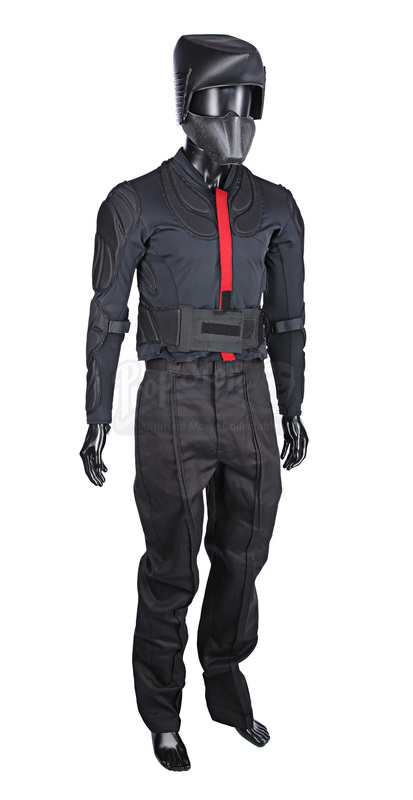 There are no sizes marked on these bespoke items and, while they display slight signs of wear from production and storage, this item is overall in very good condition. Materials: Rubber, Man-Made Woven Fibres, Fibreglass®.